MYSKINBUDDY is the revolutionary facial device that utilizes four proven technologies to help you achieve a clearer complexion, brighter and even skin tone, and a more youthful appearance. How It Works: Enjoy six convenient, ready-to-go settings. No adjustments needed. Just press and go. 1. Deep Cleanse and Exfoliation Mode. 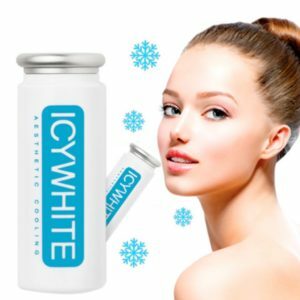 This setting lets you experience a gentle yet deep and squeaky clean through ion care while thermal heat therapy, ultrasonic vibrations, and red LED light therapy help break up dead skin cells and promote more oxygen in your skin for an immediately brighter, smoother, and tighter complexion. 2. Acne Care. Whether you have cystic, mild or hormonal acne issues, this setting should be in your routine. Blue LED light therapy has been clinically proven to kill P. acnes bacteria that leads to acne formation. This mode also uses ultrasonic vibration and ions to help push your acne products deeper into the skin and break up dead skin cells that may be trapping oils. 3. Calming and Brightening. This setting is wonderful for individuals who suffer from hyperpigmentation and redness. Green LED light therapy has been shown to help fade dark spots, brighten skin, and reduce redness. Take advantage of the added ions and ultrasonic vibrations in this mode as well, and use a lightening product suggested for your skin type and speed up the results. 4. Skin Rejuvenation and Anti-aging. Take your serum and moisturizer to the next level with this setting. The combination of a red LED light therapy, ultrasonic vibrations, and ions will deeply infuse your skin care into the dermal layers for optimal nourishment. Pay attention to how plump and radiant your skin will feel and look after the first treatment and see long-lasting results with continued use. 5. Multi-symptom Therapy. Most people have more than one skin issue. Do you have wrinkles, dark spots, and acne? No worries, we’ve got you! 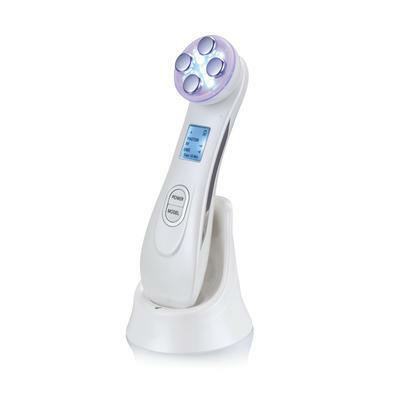 Use this setting that offers all three lights plus product infusion via ultrasonic vibration and ions. 6. Light-free and Ingredient Infusion. Not in the mood for a disco of lights tonight? Try this setting that offers a light-free option with ultrasonic vibration and ions to help you infuse your serum and moisturizers. So, now that you can enjoy a quality, routine maintenance of your skin from the comfort and convenience of your home, are you ready to cleanse, exfoliate, nourish, and renew your skin daily using just one device! The iderma® Youth Restoring @iderma_skincare Masque uses 128 LED lights to cover the entire face in a bath of low-level light therapy that penetrates into the deepest layers of your skin, to reduce the appearance of fine lines, wrinkles, pores and more! . Now available at www.bestbeautybuys.co.za .